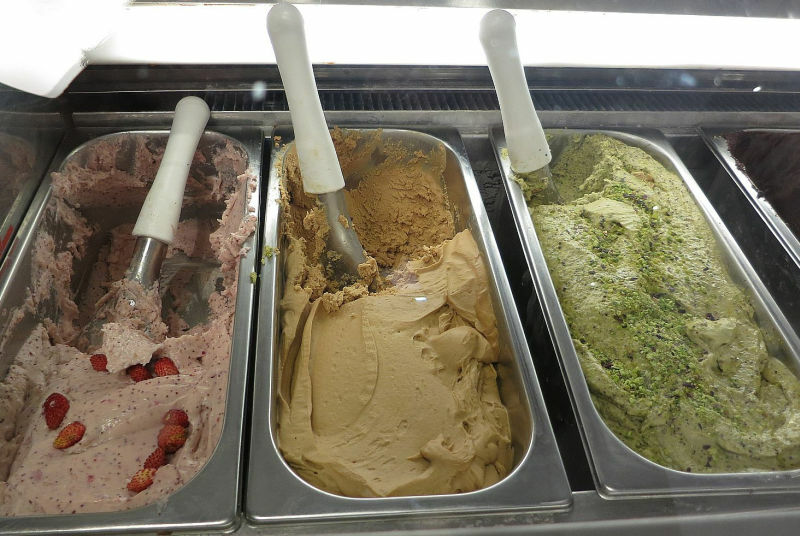 Rome is a great city to visit with kids and there are many places they’ll enjoy seeing but there are a few ways you can make the visit more enjoyable for the whole family. When you’re traveling with kids it’s important not to have to stand in long ticket lines so be sure to buy these tickets before you go. Most children usually enjoy Rome’s ancient sites, especially the Colosseum. Unfortunately with the new security measures you will have to stand in the security line even if you’ve bought your tickets in advance. One way to get in more quickly is by booking a tour since they start at a special entrance. When you’re traveling with kids you don’t want to have to spend a long time in line! The Roman Guy offers the Arena Floor Colosseum Tour, that may be a good choice for families as it’s shorter and less costly. You’ll tour the Colosseum, including exclusive access to the arena floor, a fun visit for kids. Then you’ll tour the Roman Forum with the guide, after which you can visit the Palatine Hill on your own if you wish. 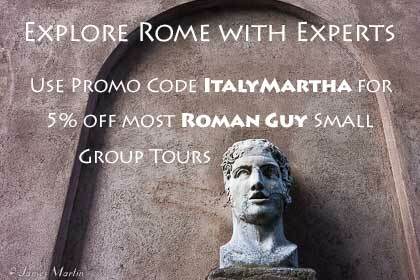 Best of all, the Roman Guy offers my readers a 5% discount on the Arena Floor Colosseum Tour – use promo code ITALYMARTHA. 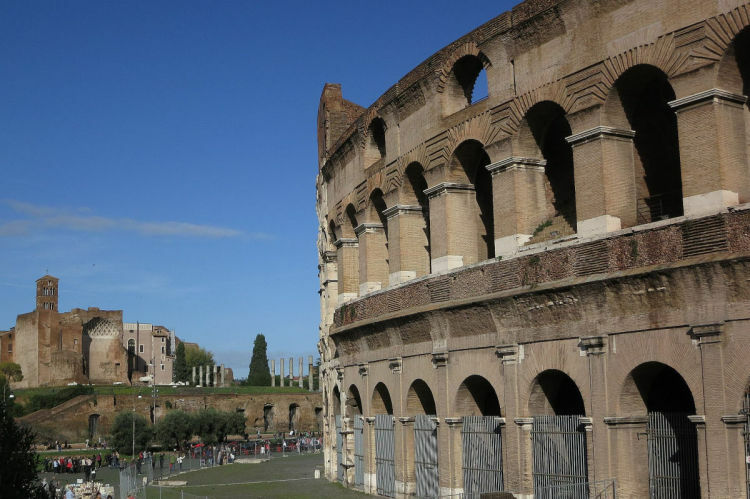 Or try this half-day Colosseum for Kids Family Tour. For a fun way to introduce Roman history before you visit the Colosseum, go to Gladiator School for a 2 hour Gladiator Training session, complete with Roman costume. 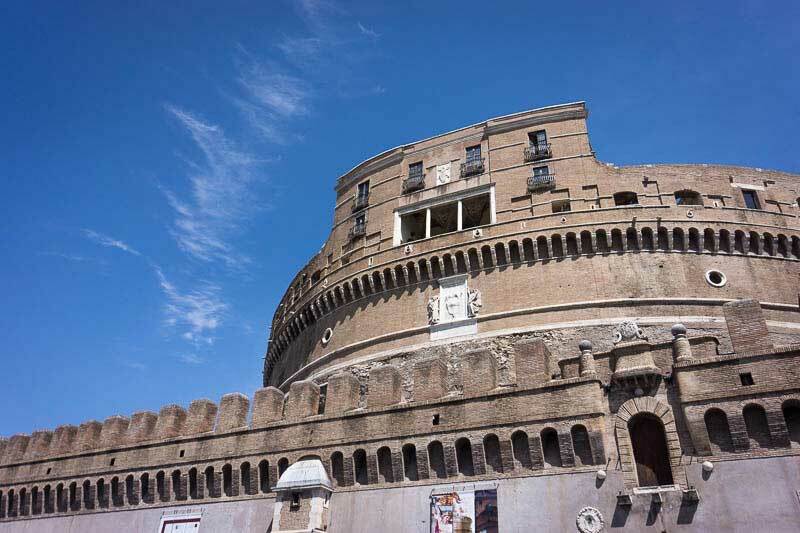 Exploring a castle is something almost any child enjoys and Castel Sant Angelo, or the Mausoleum of Hadrian, has almost 2000 years of history. It was originally built by Emperor Hadrian in the second century AD to house his tomb and later served as a military fortress. In the 14th century, it became a castle for the Pope and the Passeto di Borgo, a covered passageway connecting it to the Vatican, was added. It also served as a prison and executions were carried out in its courtyard. 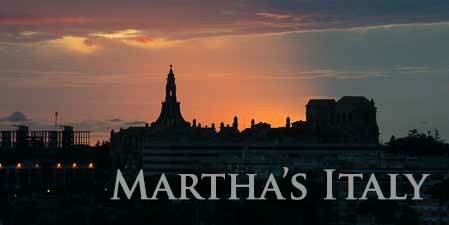 From the upper terrace there are spectacular views of Vatican City and Rome. Take a special family tour – Eternally Young: Rome for Children is an entertaining half-day guided tour with information and activities aimed at keeping the kids interested. You’ll see some of Rome’s top sights and visit the Castel Sant’Angelo. Take a break from sight-seeing and spend some time at a park. One of the best is the Villa Borghese Park, the second largest park in Rome, and it’s easy to get to from Piazza di Spagna or Piazza del Popolo. The park has a children’s area with a merrry-go-round and a little train, a small like with swans where you can rent boats, and even a zoo, the Bioparco. There are several places in the park where you can rent bikes, some that can hold up to 6 people, a fun way to explore the park with its many statues and fountains. Via Appia Antica, the ancient Roman road, is a fun place to visit with kids. Much of the ancient road has been made into the Regional Park of Appia Antica with activities and special events. Older kids may enjoy renting bikes and riding along the road or going into one of the catacombs, the ancient burial chambers outside the city walls. Several of them along the Appian Way can be visited on guided tours, arranged at the entrance. The Catacombs of Saint Domitilla has the oldest burial chambers and tour groups tend to be smaller so it’s probably a good choice. It’s closed on Tuesdays and in January. To get to the catacombs and Via Appia Antica, take bus 218 from the San Giovanni Metro Stop or take the hop-on hop-off Archeo bus that lets you stop several different places. Public buses can be pretty crowded so it might be easier to take a taxi. While Rome has good public transportation options and the kids may enjoy a metro ride, they tend to be very crowded and may be uncomfortable for families traveling together so taking a small group tour (such as the one mentioned above) is a good option. The Hop On/Hop Off Bus lets you get on and off at several different locations near top sites. Take a train ride. Many kids, especially from the US, have never been on a train. You can visit several places near Rome on a day trip by train including Ostia Antica, the ruins of Rome’s ancient port with an option for going to the beach a little farther along the line or Orvieto, a stunning medieval hill town that kids often enjoy visiting.